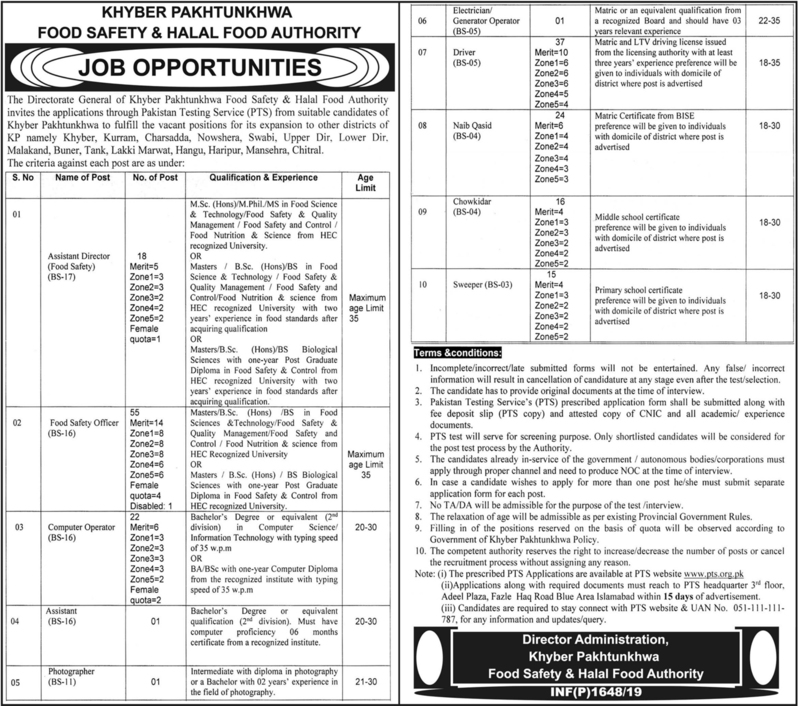 Food Department Govt of Khyber Pakhtunkhwa jobs 2019 are announced and 190 new vacancies are posted on 15 Apr 2019. How to apply for Food Department Govt of Khyber Pakhtunkhwa jobs is given below. Please check the advertisement for more information.